Adam reviews Mr. Roosevelt the new film directed, written and starring Noël Wells. The film played AFI Film Festival 2017 as a part of their American Independent section. 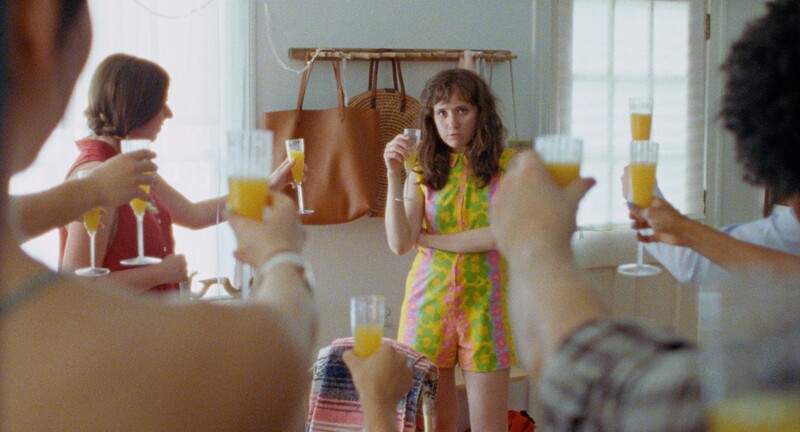 Noël Wells’ debut feature Mr. Roosevelt will find many fans. Handsomely shot on 16mm on location in both Austin and LA, the film is the sort of indie comedy about narcissist people in uncomfortable situations that has become the festival norm. The film finds Emily (Wells) a struggling comedian having to travel back to Austin from Los Angeles to care for her cat the titular Mr. Roosevelt. Upon arriving in Austin, Emily finds her ex-boyfriend (Nick Thune) living with a new woman (Britt Lower). This setup sets in motion the plot that finds Emily questing the lack of forward moment and seething with jealousy over her ex’s new relationship. The film excels at showing how narcissistic Emily and those around her are. Wells has not written herself a glamourous role but one that feels truthful. As refreshing as that is, Wells does not fully commit to this and by default the film feels only half baked. The film turns in the last thirty minutes that commitment and we are asked to believe emotional turns or the beginning of them that just do not feel realistic. Emily is so strikingly drawn as a selfish and self-destructive person, one would ever believe that she would feel anything less than right in all the decisions she’s made. This is where Mr. Roosevelt both fails and succeeds. Wells is able to etch a character so clearly as a writer, director and star that her commitment to an ending that postulates “she’s going to be fine, she’s going to change” feels wrongheaded in every way shape or form. The film shows the promise of a young filmmaker that will eventually connect just not with this film.